Developers’ interest in Android is increasing, according to a new developer report from Vision Mobile. 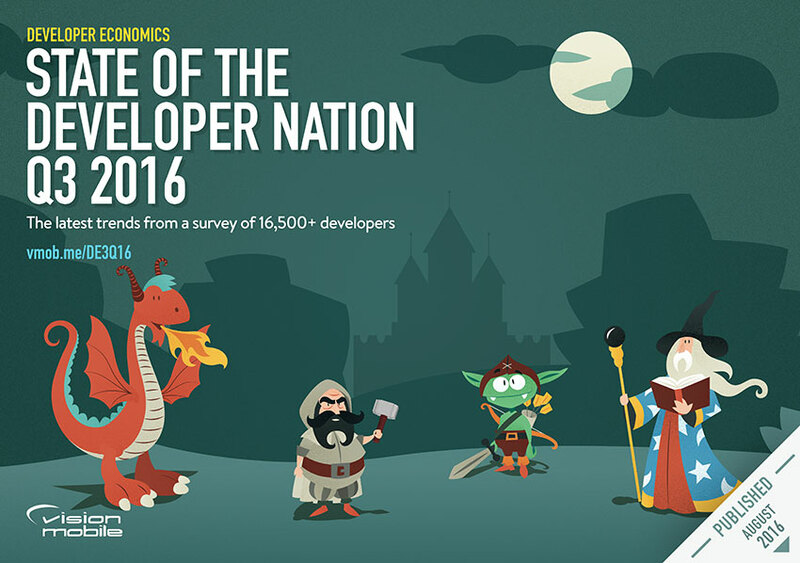 The report, “Developer Economics: The State of the Developer Nation Q3 2016,” found that 47% of developers are prioritizing Android in their development efforts, which is up 7% from the last six months. As a result, the number of developers interested in iOS fell by 8%. The survey reached out to more than 16,500 developers in the mobile, desktop, cloud IoT, AR, VR and data science fields. Other key findings of the report included 36% of respondents using C# on the server; IoT newcomers are decreasing; smart homes are one of the biggest IoT ventures; 23% of developers are interested in VR or AR; and 41% are interested in data science and machine learning. Lyft has announced the release of its official Lyft Android SDK for developers. The goal of this SDK is to help developers integrate with Lyft by using less than 20 lines of code. Developers can use the Lyft Button to display the cost and ETA of a ride and deep link a user into the Lyft app, or they can build a deeper integration where developers can leverage the SDK’s modular design to make API calls directly, according to Ivan Stalev, Android Engineer at Lyft. The SDK comes with a button that can be included in an app with a few lines of code, and it also comes in five different styles. The SDK provides wrapper methods of all public APIs that do not require a Lyft user to authenticate, said Stalev, which gives developers flexibility and an easier way to build a custom experience. Apple wants to make it easier for consumers to find apps, so it is making some changes to the App Store. The App Store is implementing a new and ongoing process of evaluating apps to remove apps that no longer function as intended, as well as apps that do not follow current review guidelines or are outdated. The process will begin to review apps on Sept. 7. Apps of all categories in the App Store will be reviewed. Developers will need to submit an update within 30 days to keep their apps in the App Store. Developers who cannot make those changes during this time will have their apps removed until they submit an update that is approved by Apple. Apple noted that any app that crashes on launch will be removed immediately.